After another long coach journey we arrived in Siem Reap ready to explore the famous Angkor Wat! 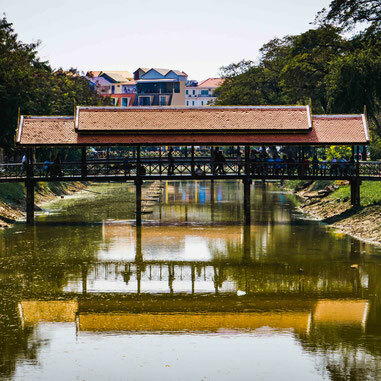 Although mainly a resting point for those visiting Angkor, the small city itself is beautiful! The river lined streets have many beautiful cafes and market stools to explore. Make sure you go to pub street to check out the endless places to eat and drink and watch the occasional football match! 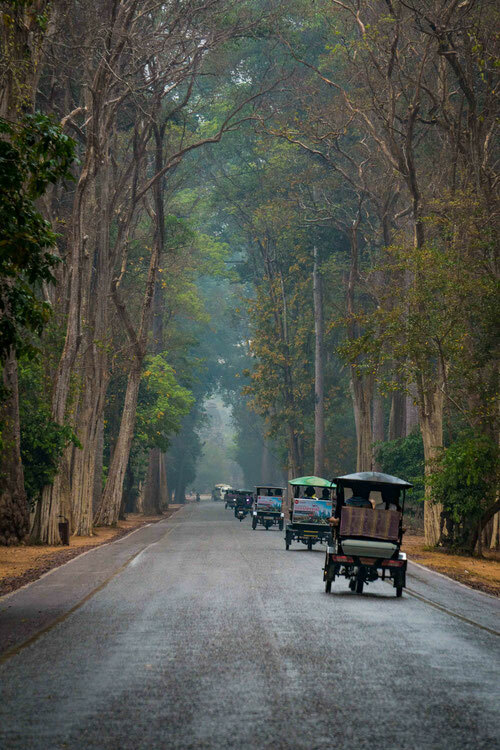 The main reason for tourists from all of the world to come to Siem Reap. 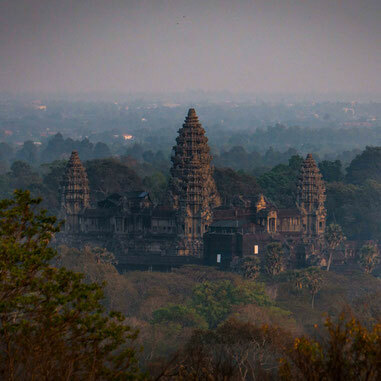 The ruins of Angkor city, the mega city of its time and one of the main reasons people visit Cambodia. You have many different options here to our visit is outlined below. You have the option of 1 day (37 USD) 3 day (62 USD) and 7 day (72 USD) tickets. We went for the 3 day ticket which allowed us to spread the visit out to be slightly (just slightly!) 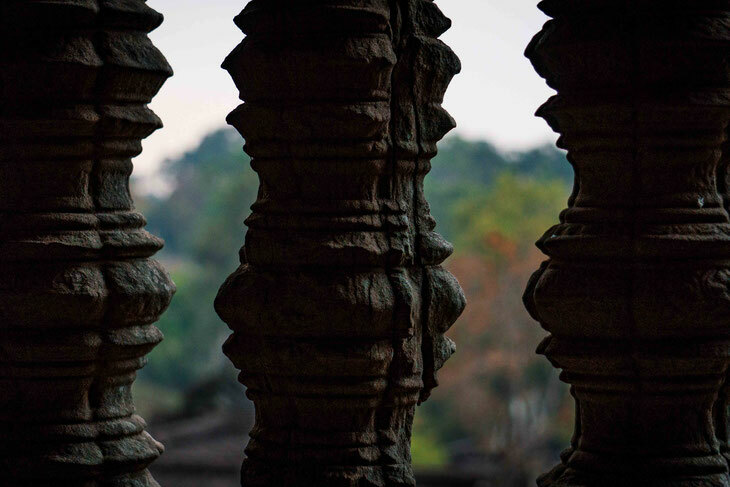 slower paced and even visit some of the less famous temples. 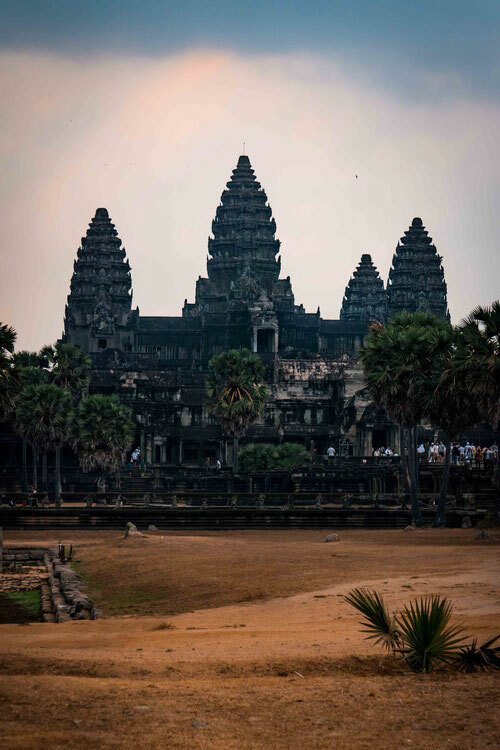 We debated the 1 day ticket but we had the time to visit three days, and although achievable to visit the main temples in one, it would be extremely rushed. Taxi - more expensive but air conditioned! Tour buses – bigger groups so you have less control of your pace but usually with an informative guide. Grab app - some people will take a grab Tuk Tuk in and then hopefully find Tuk Tuks in there or be able to order more grab ones. A little risky for me! Day 1: The small circuit and Sunset Point. 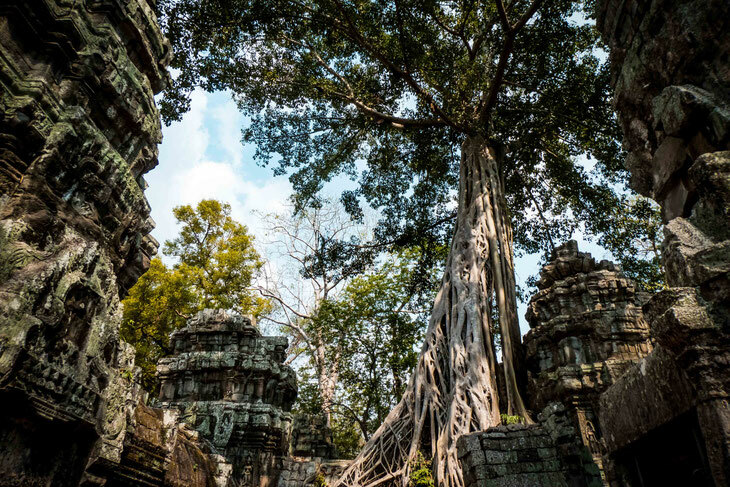 Lots of temples to see, our favourites of which were Ta Phrom and Bayon. The sunset point is then a walk (emphasis on walk - please do not pay for the elephant ride!) but the hill to the Phnom Bakheng temple to sit and watch the sun go down over the forests. Day 2: Sunrise point and the large circuit. An early start at 5am with a Tuk Tuk ride in the dark over to Angkor Wat temple itself. We had to navigate over to a lake in the dark and wait for the sun to rise. Unfortunately for us the sunrise today was a little disappointing, so we took the opportunity to go explore the rest of Angkor wat with less tourists about. 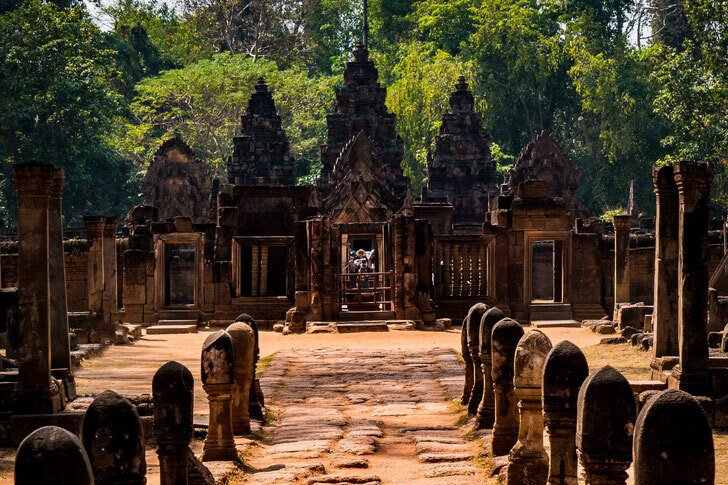 We then explored the rest of the large circuit temples with out favourite being Pre Rup! 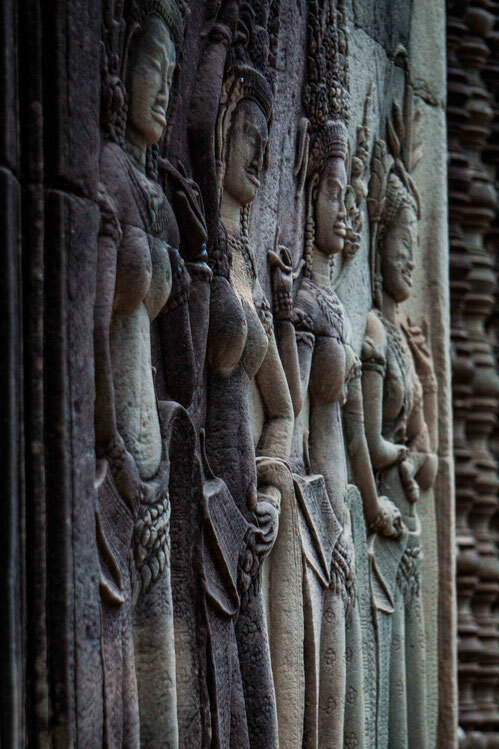 Day 3: Banteay Srei and Banteay Samre temples. A little out of the way and small complexes but with much less tourists around so nice to see somewhere without the crowds. You could also combine the day with a visit to the landmine museum which is enroute and a very interesting place to learn about. Neither of us have visited temple ruins before and it was so magical to see and imagine what it looked like back in the day. We loved seeing the nature and the trees taking over the ruins and claiming back the land. You also don’t grasp the real scale of the place until you arrive and see it for yourself. No information boards around. As like many other visitors we decided to not visit with a tour guide as we wanted to explore at our own pace not in a huge crowd but this really does leave you simply exploring the ruins without much knowledge to their history. 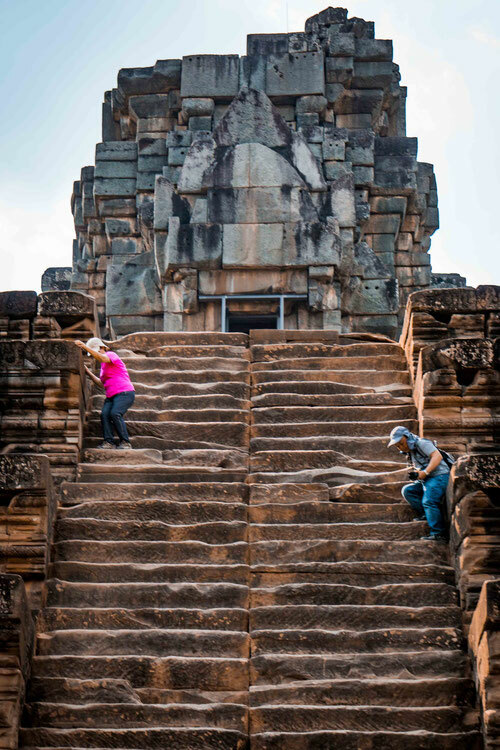 Although able to google beforehand or after your visit, if you are really keen to learn the history we’d advise getting a tour guide or finding an information book to buy and take around as you visit each temple. We had read about the heat and were forewarned by friends but it really is as hot as everyone says! Be prepared for lots of sweating so bring lots and lots of water, plenty of sunscreen, hat, sunglasses, maybe even an umbrella and a wet towel to cool down between temples. As with many temples and sacred places there are rules on what to wear. Obviously, there’s also those few who disrespect the rules and get away with it but we are firm believers that out of respect they should be followed. They also have ticket check points at each temple and those guards could turn you away if dressed inappropriately so make sure both shoulders and knees are covered. We knew the sunrise point would be crowded but didn’t expect just how busy it actually was! 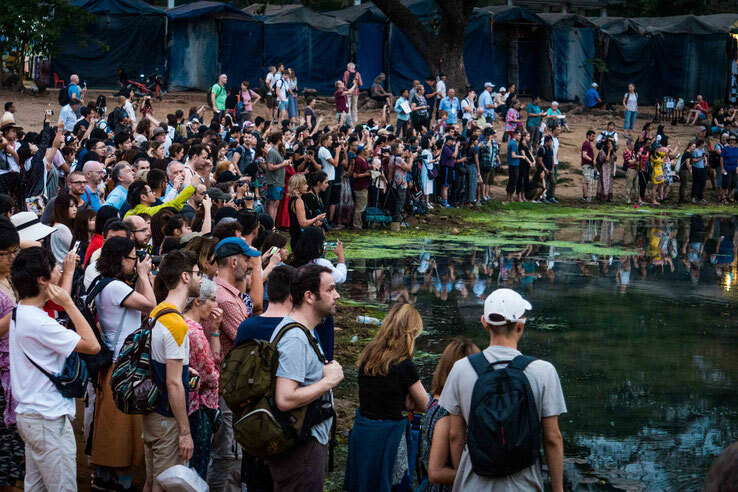 Thousands of people huddled around a small lake trying to get good photo opportunities. Looking back now it was quite comical! We were not aware just how goddam steep some of the steps at the temples are! You will be on your hands and knees scrambling up and down the hundreds of steps. Not advised for the unfit, elderly or less able!